The key to better cuts? Over the years I’ve had my fair share of miscuts, frequently they’ve been off by just a hair, but it’s not unusual to have had a few that made me want to throw the board across the room and flip the saw in some sort of Hulk-like rage. Inevitably the mistake was a result of my own inattentiveness, either I was rushing through my prep work or I completely ignored my own markings. Either way the result was the same, more work to make up for the mistake. 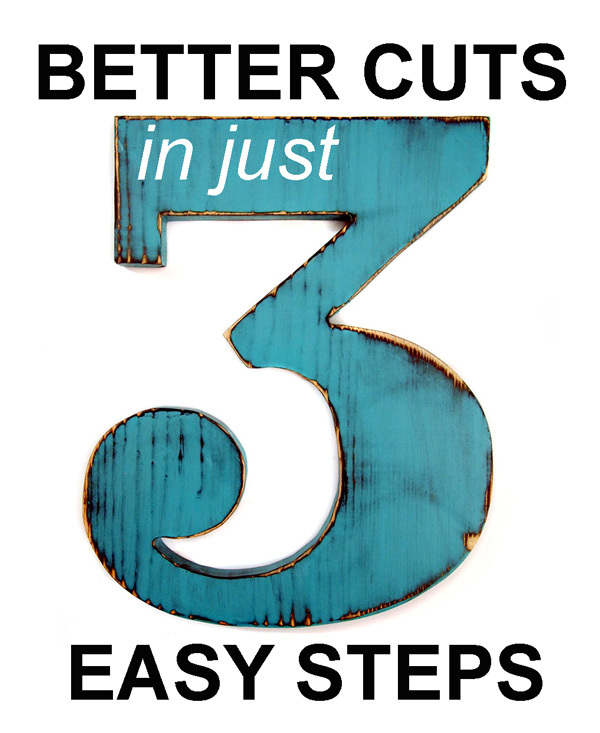 It’s a short and sweet post pointing out some pretty obvious steps to achieve better cuts. Tips that seem like a no-brainer, until you realize you probably haven’t been doing them. But once you try them, you’ll probably never stop. Huge thanks to Mallory and M&M Tool Parts for sharing! Do you have any tips or suggestions to add to Mallory’s? Share them here, we’d all love to learn how to make accurate cuts the first time. « Garage or basement, where’s your shop?